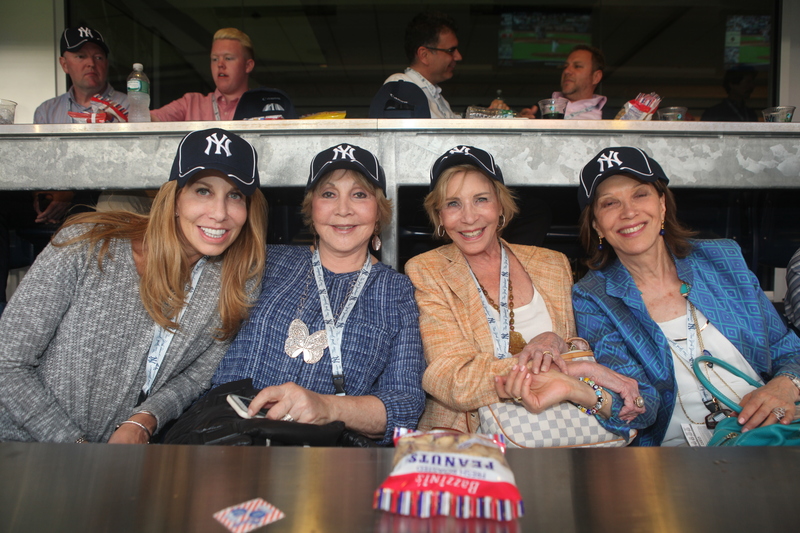 NEW YORK CITY, Tuesday, June 9—On a beautiful and balmy evening, President of the New York Yankees Randy Levine and his wife Mindy Levine hosted over one hundred and ten guests and supporters of the American Friends of the Rabin Medical Center (AFRMC) at Yankee Stadium. The Yankees faced the Washington Nationals in a pitching duel that pitted Yankee ace Masahiro Tanaka against the Nationals Max Schrezeir. In addition to a Kedem wine tasting, guests dined on a lavish buffet dinner with drinks and a dessert bar. Of course, guests munched on foods like hot dogs, Cracker Jacks and peanuts! Two large ice sculptures with the Israeli flag and the AFRMC logo adorned the two-room suite. The sushi platters were decorated with AFRMC and Israeli flag designs. Right before the first pitch at 7:05 pm, Mr. Levine thanked the AFRMC guests for attending and reflected how their presence benefited the vital daily work that Israel’s Rabin Medical Center Emergency & Trauma Center performs. He recognized the Rabin Medical Exchange Fellow program. Dr. Joshua Eli Plaut, Executive Director of AFRMC thanked the assembled and especially the Levine’s for their generous hospitality. Mindy Levine concluded by sharing her enthusiasm for AFRMC’s mission and her gratitude for the medical care Rabin Medical Center’s Dr. Steven Jackson provided to his patients. Randy Levine then welcomed former Major League Baseball player Lee Mazzilli. 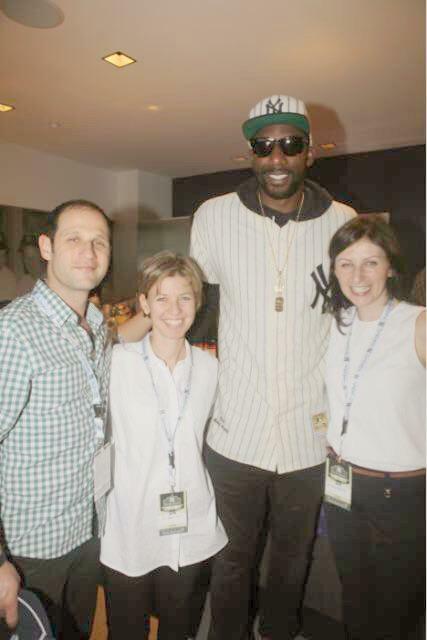 After a raffle, guests enjoyed a surprise visit by famed NBA player Amar’e Stoudemire. As guests were leaving they were each presented with a gift bag and signed baseball by a New York Yankee. Most importantly the New York Yankees beat the Washington Nationals 6-1 and the guests left happy to support the important work of Israel’s doctors at Rabin Medical Center.